Sellers hoping to get the highest prices for their homes this summer should forget about opening up their kitchen or installing a free-standing bathtub. Instead, they should amp up their home for summer with some of the most popular outdoor features. The right ones could increase a home's value by 10% over comparable listings, and one extra-special amenity is worth a 97% premium, according to a recent realtor.com® report. Those trying to get the biggest return on their investment should have an outdoor shower installed ASAP. Some may debate whether these are the most awesome, get-back-to-nature inventions ever—or the worst. Homes with the outside bathing areas saw a 97% price-per-square-foot premium, according to our research. "Outdoor features can give a home a special quality in the market," says Javier Vivas, realtor.com's director of economic research. "And anytime you have a unique feature, it can bolster the prospective value of a home." Outdoor showers are likely appealing to buyers, because the homes that have them are more likely to be on the water (the showers are great to wash off the sand from the beach before stepping inside) or attached to more expensive properties with other luxe amenities. And in some parts of the country, outdoor showers are worth more than others. In New York state, homes with them are listed for 256% more per square foot than other residences for sale in the state. Nothing says summer like throwing some burgers and ears of corn on the grill. So it makes sense that homes with barbecue stations are 26% pricier than those without. Barbecues are mentioned in nearly 10% of all listings on realtor.com and are most popular in Arizona and California. 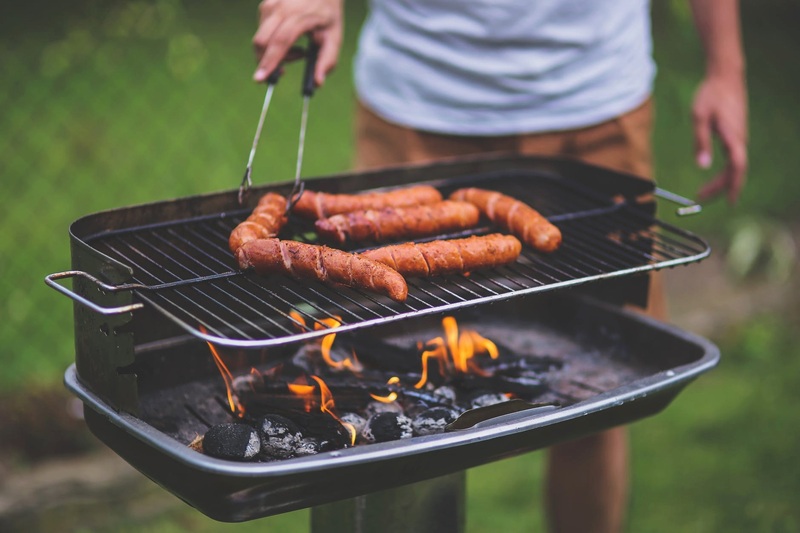 But the biggest payoff is in Utah, where homes that mention barbecues are listed for 58% more per square foot compared with other homes in the state. Pools with enough space around them for friends and family to lounge about also gave home prices a 26% lift. But these so-called entertainer's pools gave New York state homes the biggest increase—at a whopping 224% more per square foot. This basically tripled the price of these homes for sale. Meanwhile, fire pits gave residences a 25% premium. Why not? There are few things more satisfying than sitting in front of crackling flames, roasting marshmallows. The outdoor amenity is the most popular in Indiana, where it is included in 7.2% of listings, according to the report. "It's an entertaining feature," Vivas says of fire pits. "It's one of those things that can let you enjoy your home with more people."